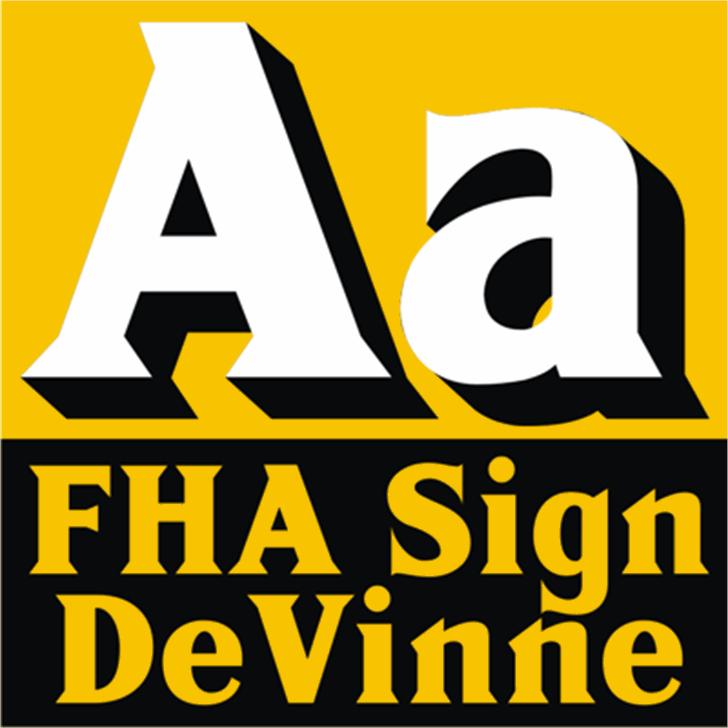 FHA Sign DeVinne is another in the series of updates/revivals from master sign painter F. H. Atkinson. 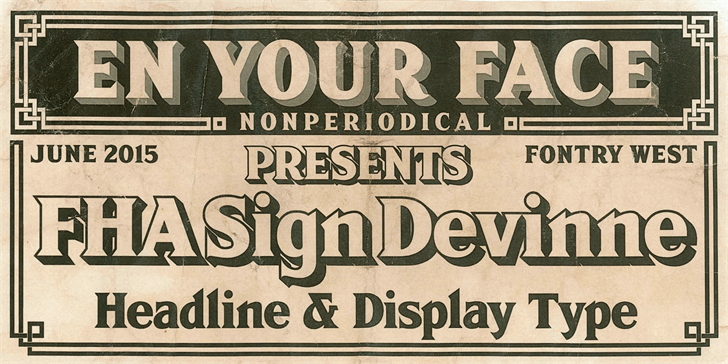 Once, long ago, there were no large format digital printers or vinyl cutters. Signs, posters, banners etc., were screen printed, in the case of mass production, or hand lettered. Sign painting was a difficult skill to master. Some young men apprenticed to more skilled sign painters to learn the craft. Others got some paint and brushes, maybe a how-to book and let the paint start flying. 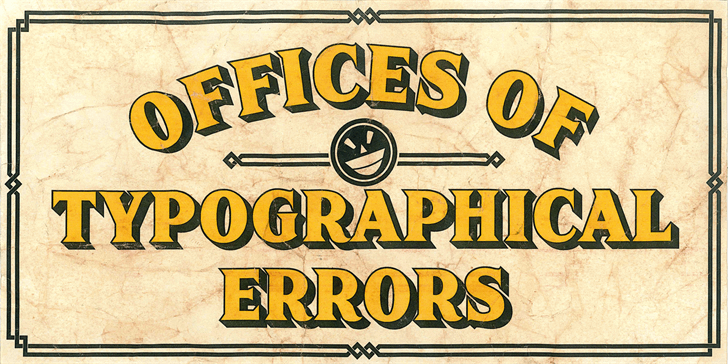 For the hand letterers there weren't fonts in the technical sense. Each painter would build a repertoire of forms. These forms defined broad categories - standard or block styles, roman styles, block serifs, scripts and casuals and the single stroke forms. If you wanted a bold you used a wider brush. Italic forms were a slanted block or serif form with script or casual flourishes and terminals. 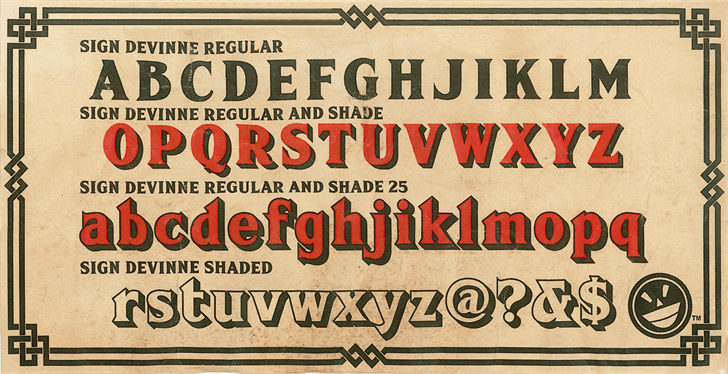 There were stove pipe forms that acted as condensed letter styles. Most clients accepted these limitations. But, there will always be clients who are difficult. These folks wanted a specific print font for their signs. In the digital age, it is a simple matter to purchase the font and run it through the plotter or digital printer and be done. 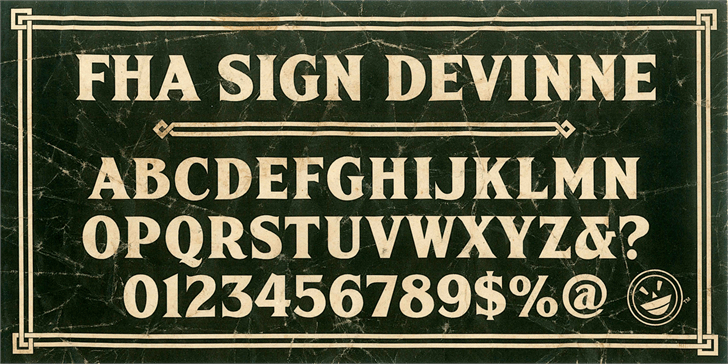 Back in the day, those fellows had to adapt something they were practiced at to new serifs and terminals. Any new “font” had to be practiced until the painter could reproduce the letters with some confidence. 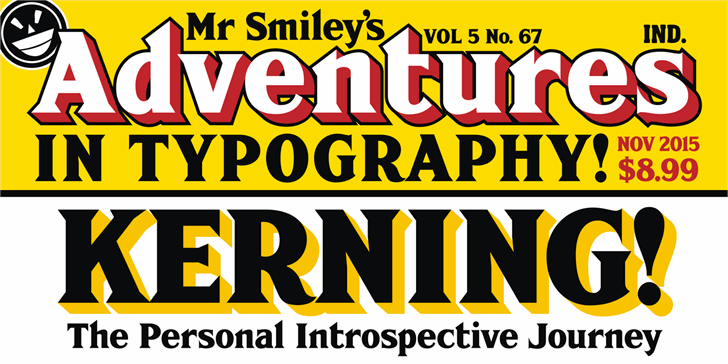 DeVinne was popular enough that Frank Atkinson included it among his demonstrations fonts in his manual on sign painting. 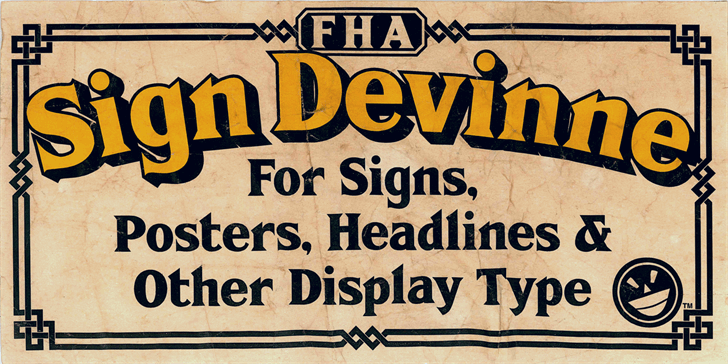 If you like bold serif fonts for display and headline type, FHA Sign DeVinne might be what you are looking for. Okay, so it is a revival of a Frank H. Atkinson classic, is that a bad thing? It is updated and modernized with an effort to clean up any pesky issues with character agreement. 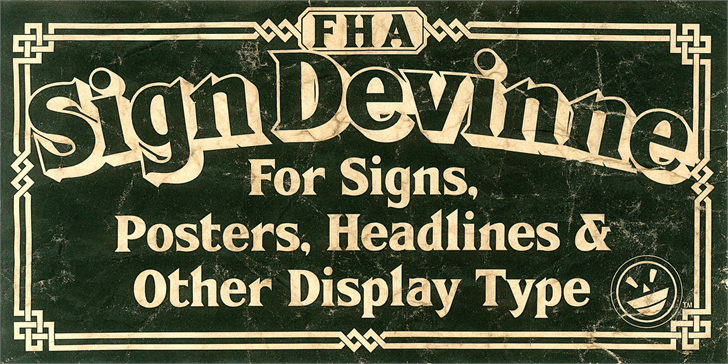 It seems a bit trite to say that Sign DeVinne is a face for a new millennial, but, there, we've said it. The font has clear bold strokes and a well defined character. Copyright (c) 2015 by The Fontry tm / Fontry West tm, (Michael Adkins & James Stirling.) All rights reserved.